DALLAS, Dec. 31— Ricky Nelson, who gained childhood fame on his parents' radio and television programs and went on to became one of rock-and-roll's earliest teen-age idols, was killed today along with his fiancee and five other people when his DC-3 plane crashed in flames near De Kalb, Tex. The pilot and copilot survived the crash, but were critically burned, according to Michael L. Cox, a spokesman for the Texas Department of Public Safety in Austin. Ricky Nelson was a 1950s and 60s pop star. Imagine (Justin) Bieber times 10. A generation of America watched him grow up on a primitive version of "reality TV." 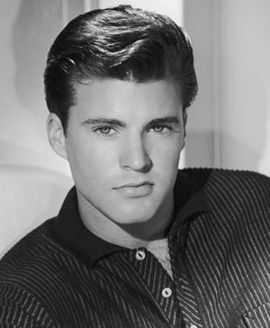 One remembers Ricky Nelson (born Eric Hilliard Nelson) as a child star on The Adventures of Ozzie and Harriet and later as teen idol, but if he were alive today, he would be 75 years old. Sadly, he and six others died in a New Year's Eve plane crash on December 31, 1985. Nelson, 45, and the other victims were en route to Dallas, Texas. 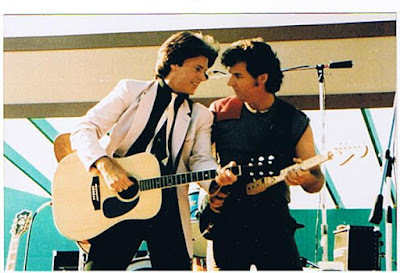 On December 26, 1985, Nelson and his Stone Canyon Band embarked on a three-stop tour in the southern United States, beginning with Orlando, Florida. On December 28th, they arrived at their second stop in Guntersville, Alabama, where they played three shows at P.J. 's Alley, a converted tire store and warehouse, owned by DeKalb County, Alabama native Pat Upton. Upton wrote the song "More Today Than Yesterday" in 1969 when he was lead singer for the group Spiral Staircase. 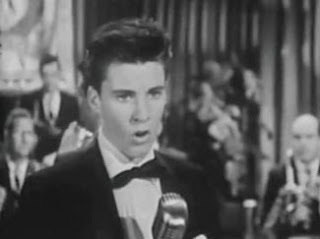 A decade later, he began working with Rick Nelson as a background vocalist and performed on Nelson's album "Playing to Win." In 1983, Pat opened his own bar, P.J.s Alley, in Guntersville. Rick had come there to perform with his old friend. Unfortunately, Rick's December 30th concert turned out to be the last one he would ever give. On December 31, 1985, he and his band departed from Guntersville on a flight to Dallas where they were scheduled to perform at a New Year's Eve concert at the Park Suite Hotel. 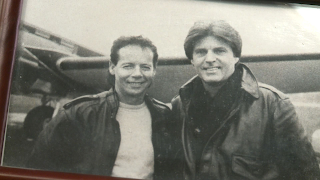 Pat Upton saw Rick that morning, and the two men were photographed before the doomed aircraft took off from Guntersville, Airport. Just after 5:00 p.m.,Central Standard Time (CST) the pilot of Nelson's plane old Air Traffic Control that he was experiencing difficulties and would have to turn course from the planned destination of Dallas. Minutes later, ATC was informed that there was smoke in the plane's cockpit. The DC-3 then disappeared from radar. At about 5:14 p.m. CST, the Douglas DC-3-N711Y crash-landed in a farm pasture near De Kalb,Texas striking a wire and some trees. The airplane had caught fire and was severely damaged. 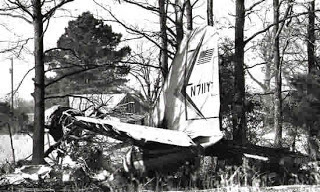 The pilot, Brad Rank, 34, and the co-pilot, Kenneth Ferguson, 40, although seriously burned, managed to escape through cockpit windows. Rick Nelson and six other passengers, however, were not as fortunate. They all perished in the inferno. The other victims were identified by the Texas Department of Public Safety as Helen Blair, 27, Rick Nelson's fiancee, band members Bobby Neal, 38 (guitarist), Patrick Woodward, 35 (bassist), Rick Intveld, 22 (drummer), Andy Chapin, 30 (keyboardist), and sound technician/road manager Donald "Clark" Russell, 35. An Associated Press (AP) news story, published January 2, 1986, stated that the "DC-3 aircraft that crashed and killed Ricky Nelson and six other people had engine trouble before its last flight, and one member of the singer's band had talked of quitting because he did not trust the plane, friends and relatives said today." Rick Nelson's plane was originally a 1944 Douglas C-47 Skytrain twin engine military transport. The aircraft and was converted to a DC-3C in 1959. It had been owned at one time by the wealthy, aristocratic DuPont family and was later in the possession of legendary rock and roll singer Jerry Lee Lewis. 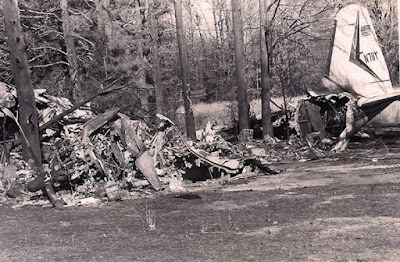 On May 28, 1987, the U.S. National Transportation Safety Board released the findings of an 18-month investigation into the air crash. Federal investigators stated that they could not determine conclusively what caused the fire. They were able to establish, however, that the probable source of the blaze was a malfunctioning cabin heater. Investigators had earlier speculated that the "free-basing" of cocaine, which entails the heating of the narcotic with a flame, may have ignited the fire. Although toxicology tests revealed traces of cocaine in the bodies of several of the passengers, including Rick Nelson, no evidence of drug use during the flight was found, nor was any drug-related paraphernalia discovered after the crash. There were conflicting reports as to whether the plane had caught fire before it crashed. Witnesses claimed it appeared to be already on fire, but Jim Burnett, then-Chairman of the National Transportation Safety Board, stated that although the aircraft was filled with smoke, it had landed before becoming engulfed in flames. The NTSB criticized pilot Brad Rank for failing to adhere to the in-flight check-list. He apparently did not not follow procedures such as opening fresh air vents and advising the passengers to use the supplemental oxygen. He also neglected to use the hand-held fire extinguisher in the cockpit. According to the board, if these measures, had been taken, "they would would have enhanced the potential for survival of the passengers." * Television was the vehicle by which Rick Nelson set forth his music career. On March 26, 1957, 16-year old Ricky recorded the Fats Domino hit "I'm Walkin'." 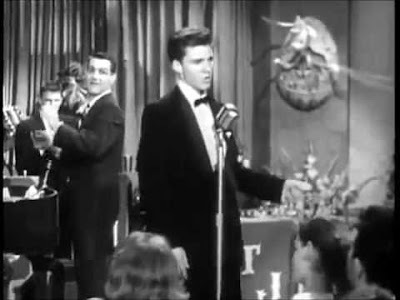 He performed the song on an episode of The Adventures of Ozzie and Harriet (Season 5, Episode 28) that originally aired April 10, 1957. The episode is entitled "Ricky, the Drummer." * According to People magazine (January 30, 1986 article by Kent Demaret), Helen Blair was a native of New Jersey and a "onetime animal trainer." She became a model and aspiring actress who met Rick Nelson in 1982 after his performance at the Palomino Club in Los Angeles, California. Rick had bought a diamond engagement ring for her "two Christmases ago." 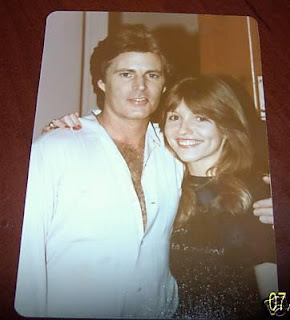 According Philip Bashe, author of Teenage Ido, Travelin' Man: The Complete Biography of Rick Nelson, 1992, Rick met Helen, a part-time model and exotic animal trainer, in Las Vegas in 1980. She soon became his road companion and later moved in with him. Although the Texas Department of Public Safety listed Helen Blair's age as 27 at the time of the plane crash, some sources give her age as 29. * Keyboardist Andy Chapin was previously a member of The Association and Steppenwolf. Wikipedia lists his birth date as February 7, 1951, which would have made him 34 years old at the time of his death. 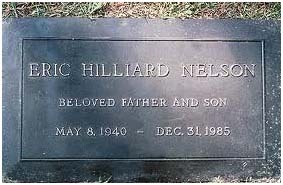 * Rick Nelson's burial site is located at Forest Lawn Memorial Park in the Hollywood Hills, Los Angeles. 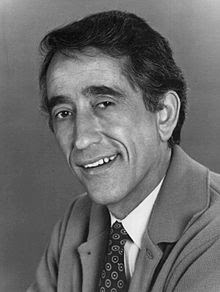 He was born May 8, 1940. Below is a photo of his grave.